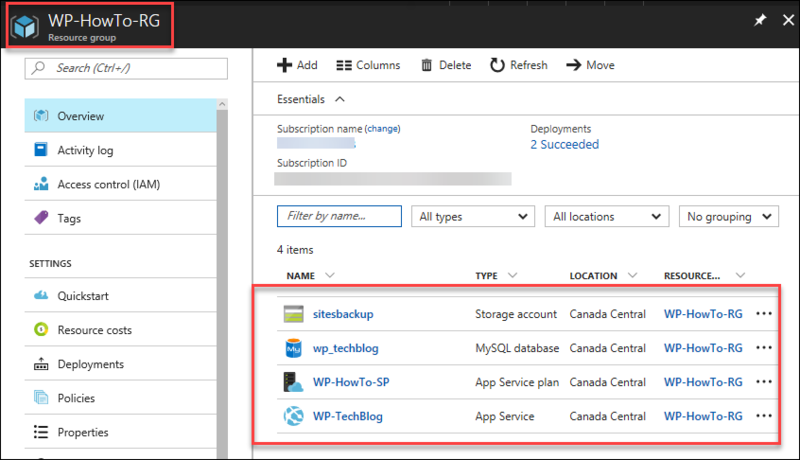 While there are a number of options available for setting up WordPress website backups using plugins or 3rd party companies, Azure App Service provides convenient, accessible, automated and/or manual, Backup and Restore options on Azure S1 Standard App Service Plans and higher. The Restore option works seamlessly and effectively to restore a website when you’ve done something to lock it down, or break access – by overwriting the existing website or restoring to a totally new website. 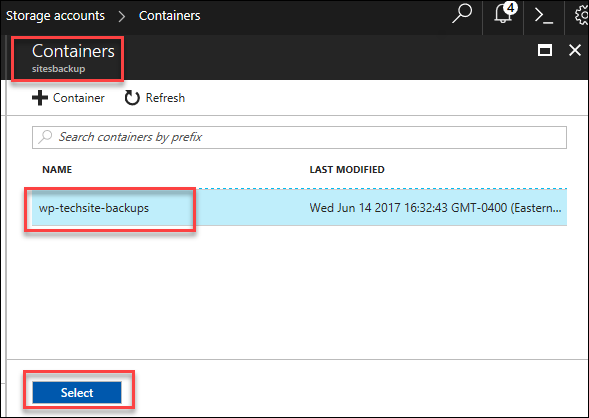 Backups are stored separately in an Azure Blob Storage container for easy access, not adding to the website’s file storage size. In Part 1 of this excerpt, we’ll manually do the first backup of a WordPress website before any plugins or extra functionality are configured, so it can always be restored back to this ‘start-point’ if necessary. (Or to be able to use this backup of the base configuration of the website, as a ‘template’ for other WordPress websites) It is a good practice to always run a manual Backup before making any additional changes to the WordPress website. Part 2 will demonstrate using Restore and validating the restored WordPress website’s integrity. 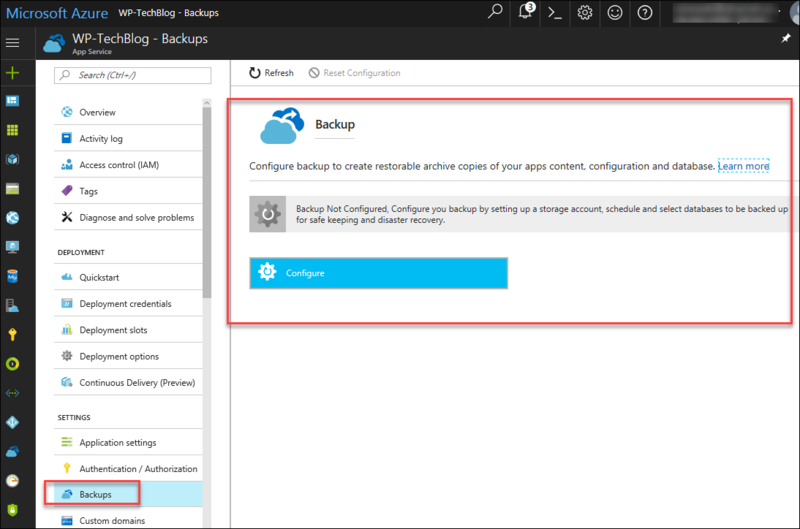 The App Service Plan (which is the underlying Platform As A Service (PaaS), or the virtual machine resources the website is using), that we’re using for this article is S1 Standard, which can be configured to run automatic backups. 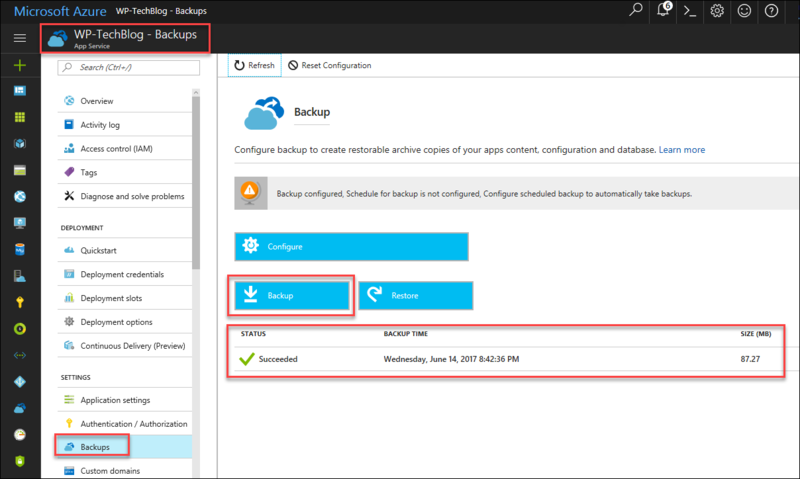 We are only doing a manual backup now – the configuration of the automatic backups can be done at any time. NOTE: At the time of this writing, it is still possible to build a WordPress website on a B1 Basic App Service Plan (which does not have the Backup and Restore feature included), and then temporarily scale up to a S1 Standard App Service Plan to run manual backups and to restore a backup. 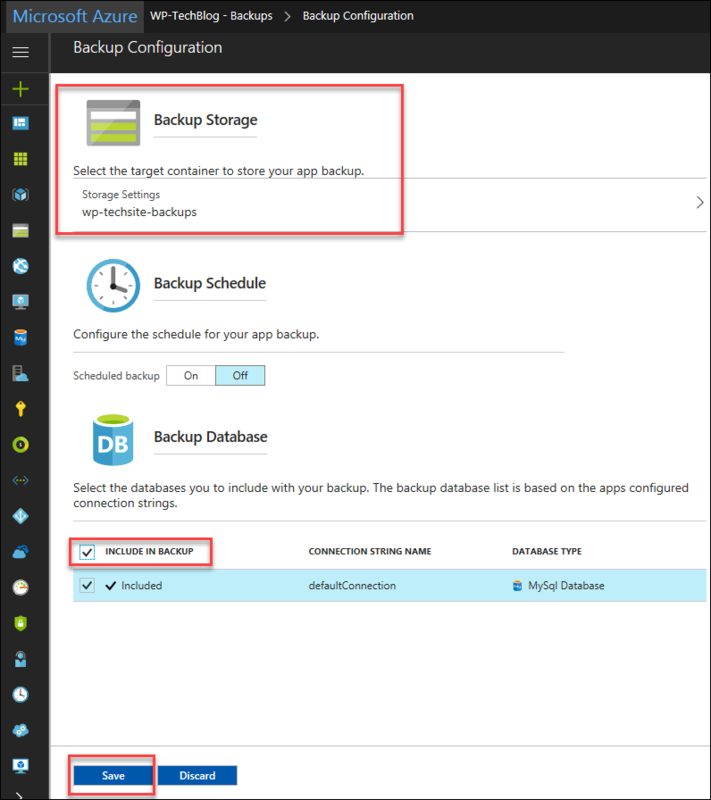 After running the backup or restore, scale the App Service Plan back down to the less expensive B1 Basic App Service Plan for running the website on. If you have more than 3 or 4 websites running on the same App Service Plan, then it IS more economical to use the S1 Standard App Service Plan, which can support up to 10 instances, plus offering more features. NOTE: Each backup is a complete offline copy of your app, not an incremental update.